Pos Aviation Sdn. Bhd. (PASB), a wholly-owned subsidiary of Pos Malaysia Berhad is a world-class aviation ground services provider offering ground handling, inflight catering and aircraft maintenance and engineering services to inbound and outbound international commercial airlines in Malaysia. We are currently seeking an individual who is energetic, self-motivated, creative problem-solver with outgoing personality, who is aiming to grow in airlines industry to join our management team. If you have what it takes for the job, kindly write to us. 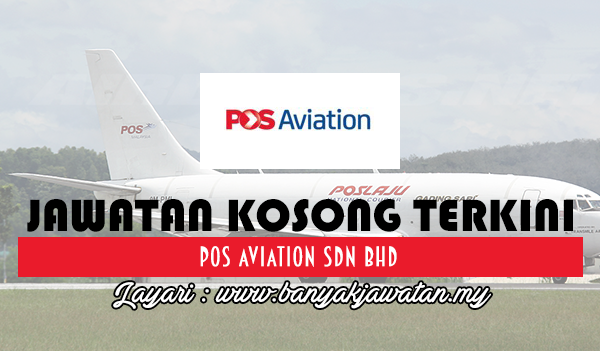 0 Response to "Jawatan Kosong di Pos Aviation Sdn Bhd - 1 November 2017"